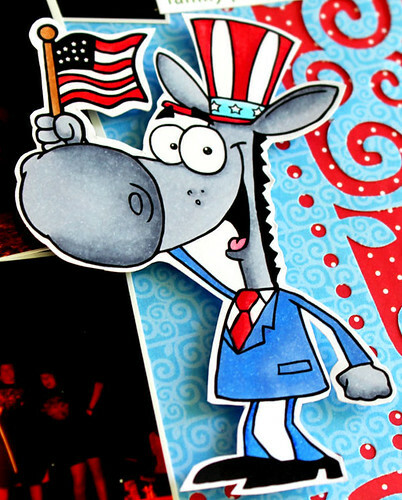 Wowee, we have a new PI creative team and a red, white, and blue challenge going on right now. Go on over and link up your creation.. as long as there is paper involved, we would love to see your work! Here's mine. I created this for the tallyscrapper challenge, treasure hunt week 6. 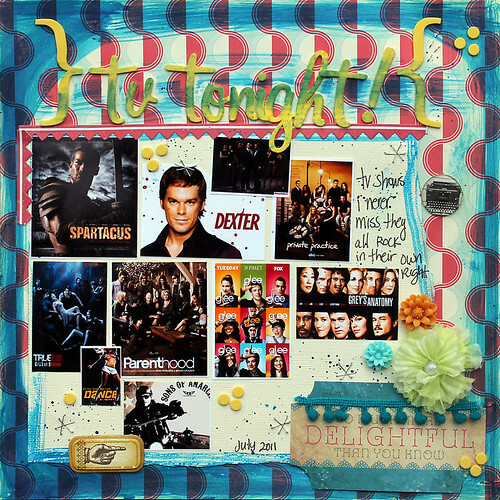 And here are some of my favorite tv shows, created for tallyscrapper challenge treasure hunt week 5. I see red white n blue here too, so I'm linking both these babies up to Paper Issues. Happy belated birthday! You did a fab job with the copics. And I'm lovin' these colorful layouts. these are fab LO's! 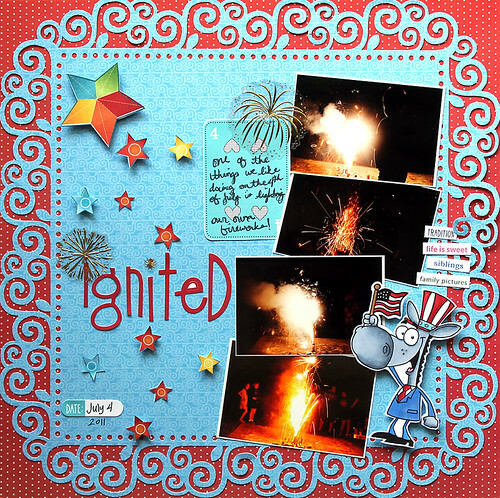 especially love your fireworks photos! so excited to be on the PI Creative Team with you...big hugs!